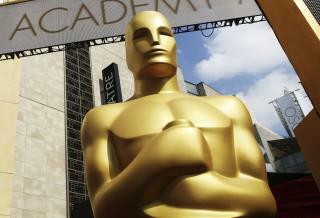 (Newser) – A new Oscars category has been announced ahead of the 91st Academy Awards and people aren't happy. The Academy of Motion Picture Arts and Sciences announced three major changes to its ceremony, perhaps the most notable of which is the addition of a new award for outstanding achievement in popular film. While details of the new honor weren't revealed in a recent letter sent out to Academy members, the move has already been criticized. Vanity Fair has dubbed it the "Black Panther award," and voiced concerns that such a category could lead to a "separate but equal" mentality regarding such massively popular films as they exist alongside more traditional Oscar fare. As the Hollywood Reporter notes, it's that huge popularity the Academy is likely hoping will bring viewers back to the Oscars, which saw its lowest rated telecast ever this past year. Viewership is way down because your shameless need to politicize everything has alienated half the country. My wife and I also no longer patronize movie theaters or any other Hollywood money-making enterprise. If I want a movie I'll rent one for free at the library. Trust me, the crowd who actually wants to see actors of limited intelligence take the mic and denigrate our President is quite small, perhaps not much larger than those filling your auditorium. TOO BAD THEY DO NOT SPEND MONEY TO PURCHASE STORYLINES THAT ACTUALLY ARE GOOD!!!!!!!!!!!!!!!!!!!!!!!!!!!!!!! INSTEAD THEY SPEND THEIR TIME/MONEY TRYING TO SH*T ON THE MOVIE VIEWERS!!!!!!!!!!!!!! NONE OF THE MOVIES ARE WORTH A TURD!!!!!!!!!!!!!!! AND THEY ARE ALWAYS PROUD OF THAT FACT!!!!!!!!!!!!!!!!!!!!!!!! I SEE ACADEMY AWARDS NEAR PLACES PEOPLE WALK THEIR DOGS! (PILES OF DOG TURDS!) FUNNY! BECAUSE IT IS TRUE!!!!!!!!!!!!!!!!!!!!!!!!! Maybe now Tom Cruise will get that Oscar.